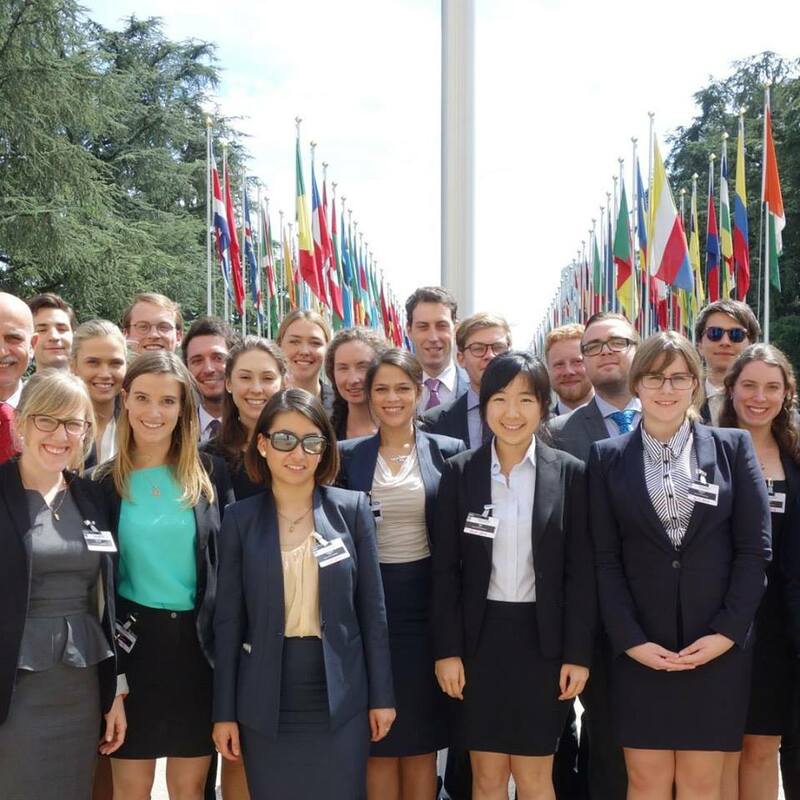 The Institutions in International Law 2014 Cohort at the United Nations Office at Geneva. The JD student interned with the Australian Permanent Mission to the United Nations for the 28th Regular Session of the Human Rights Council in Geneva. She then went to The Hague to undertake a pro-bono role with the Ratko Mladic Defense Team at the International Criminal Tribunal for the Former Yugoslavia. Most recently she worked as a legal intern with the United Nations Office of Legal Affairs in New York. Ms Mercer was originally inspired to study law after witnessing the institutional and social barriers faced by her sibling, who has a disability associated with a mental health condition. “I wanted to become a strong advocate for my sibling who has a psychosocial disability, which is one of the reasons why I wanted to come to law school,” Ms Mercer says. Ms Mercer says she chose the Melbourne JD as the launchpad for her legal career because of the public interest and global opportunities offered by Melbourne Law School. In her second and third years, she undertook Institutions in International Law (IIL) and Global Lawyer (GL), two international subjects that give students the opportunity to meet and network with international practitioners in Geneva and New York. “Those two cities are centres for international law and most lawyers who are practising in the field have spent time in either or both. These subjects give you a feel for what’s going on in those cities, which is essential if you ever do want to move there and practice,” Ms Mercer says. Studying abroad with Melbourne Law School was a transformative experience for Ms Mercer, which inspired her to pursue a career in international law and empowered her with the knowledge to realise her ambitions. She credits the mentorship she received from Associate Professor Bruce Oswald and Professor Tania Voon – coordinators of the IIL and GL programs – as helping set her on her path. “Having that kind of mentorship, as a young, aspiring international lawyer or human rights advocate is really important,” Ms Mercer says. During her travels Ms Mercer also connected with the Law School’s alumni community, which spans across the world – including at some of the highest echelons in international law. 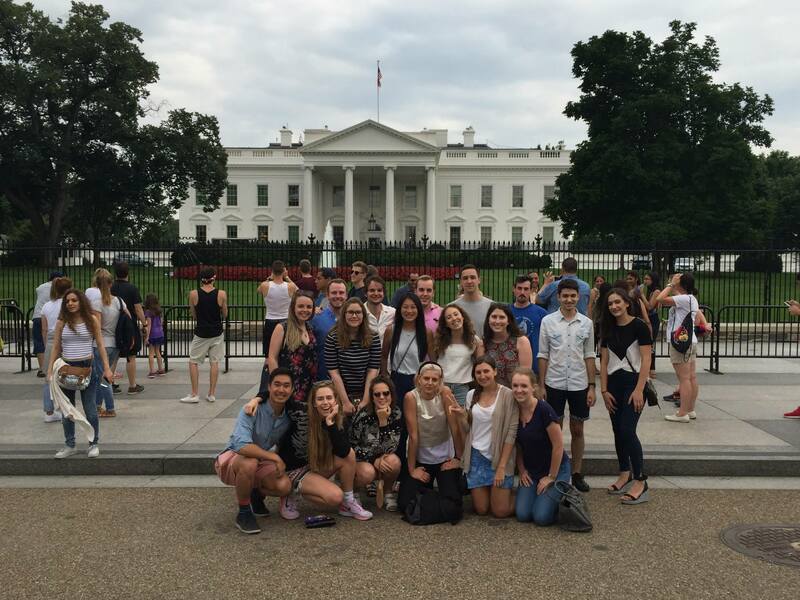 The Global Lawyer 2015 Cohort in Washington, D.C., USA. Back in Melbourne, Ms Mercer also benefited from her experiences with the Public Interest Law Initiative at the Law School. Through this program she had the opportunity to undertake the Legal Internship subject with the Victorian Equal Opportunity and Human Rights Commission, as well as three clinical subjects – Sustainability Business Clinic (SBC) which is partnered with Ashurst LLP, Disability Human Rights Clinic (DHRC) where students engage in human rights advocacy focused on the rights violations experienced by persons with disabilities, and Public Interest Law Clinic (PILC) at Flemington & Kensington Community Legal Centre. 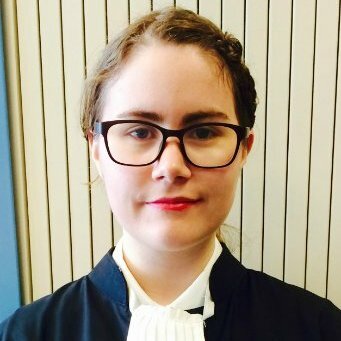 After she graduates Ms Mercer plans to pursue her ambition of becoming a human rights advocate and lawyer, wherever that takes her. Ms Mercer says that finding your feet in international law can be challenging because it is a very broad field that lacks a single, well-trodden pathway for graduates. But she’s quick to note that this shouldn’t dissuade students, like herself, who aspire to practice law on the world stage. “If you keep pursuing it, and you keep being passionate, then you can go anywhere."